She's strong as any man, but thank goodness she doesn't look like one! Elly May Clampett is the epitome of the HOT blonde hillbilly girl! Definitely inspired by the comic strip character Daisy Mae from the classic "Li'l Abner" comic strip, but has a personality all her own. She has a very sweet and tender disposition towards everyone unless they "rile" her. Elly is nice, but naive. She isn't stupid. In fact, she's quite smart. It would have to take intellect to train and care for animals as she does. But as far as knowing about the ways of the world, Elly is quite young. She's completely oblivious of the fact that her beauty makes her desirable to men. Elly also doesn't realize that the world (especially Beverly Hills) is filled with people who are not as honest and forthright as she. She and the Clampett family occasionally and unwittingly cross paths with con-men and others with ill intentions. However, this is a happy TV show and the Clampetts always come out on top. Elly May is not altogether interested in boys, but doesn't completely ignore them. She basically cares about her "critters" and that's it. It's mostly at father Jed and Granny's urging that she date boys. To please her elders, she tries to play along. To entice the men folk, Elly wears the sexiest outfits. Her dresses are elegant, her swimsuits are superb, and she also looks great in blue jeans and long-sleeved shirts. Elly is her own person, very real, and free as a song. She doesn't let social attitudes confine her to an unsuitable lifestyle. She would be a fun girlfriend to have in real life! Donna Douglas is responsible for Elly's warm personality and it shows that she genuinely enjoyed playing this character! Erika Eleniak also did a wonderful job playing Elly May in the 1993 feature film "The Beverly Hillbillies". Eleniak's Elly May, however, was not as gentle as Douglas', but every other aspect of the character was a good match. 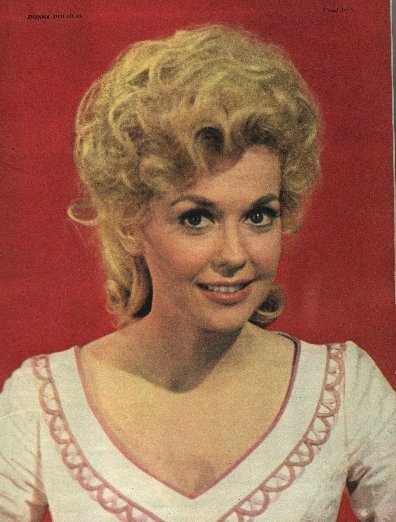 Donna Douglas as "Elly May Clampett"